Title: New Democrat House Leader Nancy Pelosi Acts To "Put Americans In A Cage"! As Cutting Edge has stated so many times, any discussion of the attacks of 9/11 which accepts the lie that the Muslims carried out the deed are flawed to the core and deserve not one minute of serious discussion. 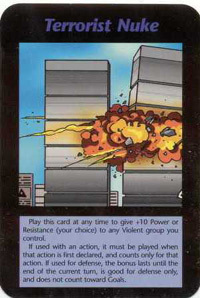 As the Illuminati Card Game so clearly illustrates, the attacks of 9/11 were well known to members of the occult as far back as 1995, which is the date when this best-selling role-playing game came out. Please take the moment to read our signature article on the 9/11 attacks and the fact that they were widely known in detail in occult circles fully 6 years before the attacks were carried out: NEWS1753, "SMOKING GUN" PROOF THAT ILLUMINATI PLAN TO ATTACK ON 9/11 AND BEYOND WAS WELL KNOWN AS FAR BACK AS 1995! 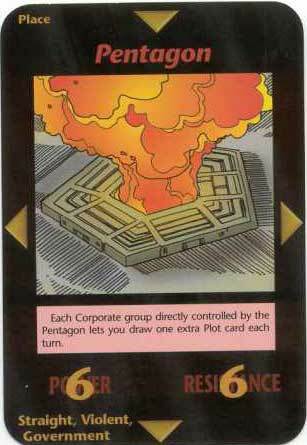 Part 1 - Future Cataclysmic Events Accurately Foretold In 1995 Illuminati Card Game -- 9/11 Attack Foreseen"
Furthermore, whenever you see a politician treating the official story on the 9/11 attacks as if it were real -- blaming the attacks on the Arabs -- you know that the politician is either doing the bid of the Illuminati or a part of that global elite organization. Nancy Pelosi at least falls into that category of doing the bidding of the Illuminati. "The very first bill passed by the House of Representatives this year was H.R. 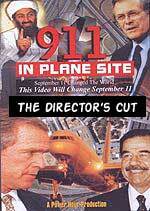 1 named, 'Implementing the 9/11 Commission Recommendations Act'. The vote was 299 Ayes, with 68 Republicans voting with the majority, and 128 Noes. Drafted by the 9/11 Commission following the terrorist attacks on Washington, D.C., and New York City, the report proffered 41 recommendations to the federal government ostensibly for the purpose of making the United States more secure against future terrorist attack. The implementation of this report was new House Speaker Nancy Pelosi's first priority for the 110th Congress. She succeeded. The House of Representatives easily passed it. The Senate is expected to do the same, and President Bush will doubtless sign it into law. But what, exactly, does this bill accomplish? Does it make America more secure? And if so, at what cost?" Now, let us return to Baldwin's excellent article to learn more of this new law. "I well remember my father telling me, 'A bird in a cage is safe, but it is not free'. That proverb pretty much summarizes H.R. 1. When fully implemented, the new law will create a federal police leviathan that will place the American people into a giant bird cage." Please take the time to carefully read NEWS2128, "The Protocols of the Learned Elders of Zion" for you will recognize in its other provisions the outline of events now breaking upon the world and soon to be directly breaking upon our heads! Back to Chuck Baldwin's revealing article. Mr. Baldwin lists the dictatorial controls which have already been instituted by Homeland Security and our two Patriots Acts. * "Homeland Security identity checkpoints on America's roads and highways"
* "Mandatory biometric iris and finger scanning systems at all American airports and seaports"
* "Creation of a national I.D. card"
* "Expansion of 'no-fly' and 'watch' lists"
* "Implementation of special screening for all airline passengers, which paves the way for invasive body scanners"
* "Federal takeover of publicly owned communications networks"
* "Increased government surveillance of Americans' financial records and activities"
Cutting Edge has been screaming the warning that we have lost these liberties -- on paper -- for the past four years. However, the vast majority of Americans continue to sleep on, oblivious to the coming planned danger. "Another recommendation wants the United States to 'generously [support] a new International Youth Opportunity Fund' for the purpose of 'building and operating primary and secondary schools in . . . Muslim states' . . . How many billions and even trillions of taxpayer dollars will be required to build and operate Muslim schools? Schools that will no doubt teach Muslim doctrine. 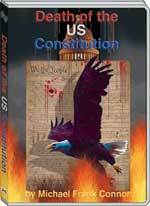 There is certainly no shrill cry against the separation of Mosque and state heard here." "Yet another recommendation requires 'global border security' using 'extensive international cooperation' ... What, pray tell, is "global border security"? Does this mean using foreign troops to guard our borders? Are we supposed to believe that our own National Guard and Border Patrol are unable to protect our borders, and, therefore, we need foreign troops to do the job?" Yes, Mr. Baldwin, foreign troops ARE in the domestic plan for America! 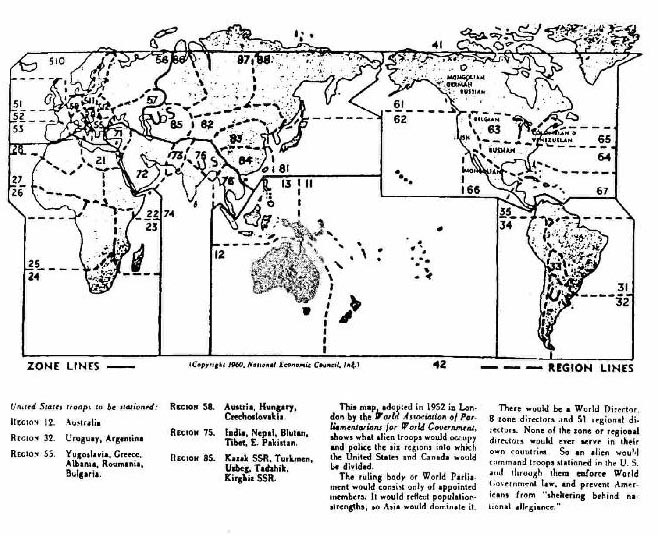 Seasoned Cutting Edge subscribers will remember our articles in which we not only told of the plan to bring in foreign troops, but we showed the map of the United States which reported the exact nationalities of the foreign troops assigned to the various geographical locations within this country. NEWS1270 - "IN 1952, THE ILLUMINATI PLANNED TO STATION AMERICAN TROOPS IN THE BALKANS AND YUGOSLAVIA [SERBIA, MACEDONIA, BOZNIA-HERZEGOVINA]!" Now, study our map of the United States, taking note of the various foreign troops which will be assigned to each region of this country. A more succinct statement of this part of the New World Order Plan is not possible! Henry Kissinger has just stated the full and complete Plan for his listeners, but since most Americans do not know this part of the Plan, Kissinger's remarks flew right above the heads of most. Do not be deceived: the United States is not only going to voluntarily give up its sovereignty, its leadership is going to voluntarily allow foreign troops to enter so as to impose military rule! Every time you see the United Nations intervene militarily somewhere else in the world, you can know for increasing certainty that America's time for such intervention draws ever nearer. Foreign troops would be in total control of the entire North American continent. No sizeable American troops will be allowed in this country. Now, you know why we have invaded Afghanistan and Iraq to the point where these armed forces might "break" under the strain. Now you know why American forces are also deployed in over 100 locations around the globe. Once the point is reached when foreign troops will be invited into our country to deal with the nationwide explosion of urban terror attacks and the resulting riots, America will have ceased to be a sovereign country and will join the international community as a country with no more significance than a Third World country. "Still another recommendation requires the federal government to 'set standards for the issuance of birth certificates and sources of identification, such as drivers licenses'. In other words, a national, or maybe even international, I.D. card or computer chip." We Conservatives have fought the imposition of a National I.D. Card for years, and each time, the government seemed to back away. Now, however, Democrats have joined Republicans in setting the stage for such an I.D. Card; therefore, it seems inevitable that we shall now have one forced down our throats. "Without specifically naming it, this recommendation calls for the implementation of President Bill Clinton's former Deputy Secretary of State Strobe Talbott's brainchild. It is called Continuity of Government (COG). COG has strong support from many notables such as former GOP Senate Whip Alan Simpson, Clinton's former Secretary of HHS Donna Shalala, former House Speakers Democrat Tom Foley and Republican Newt Gingrich, former GOP Minority Leader Robert Michel, and Kweisi Mfume, President and CEO of the NAACP. In a nutshell, proponents of COG envision a terrorist attack that would precipitate the suspension of the U.S. Constitution. Specifically, COG would authorize Congress to appoint its own members, including those in state legislatures, without a vote of the people. COG even envisions the enactment of such authority for reasons of 'incapacitation' (whatever that is) even if no emergency exists." "As one should easily be able to see, the passage of H.R. 1 simply continues the policies of both Democrat and Republican administrations to put the bird in its cage. Of course, the bird is the American people and the cage is a national, even international, curtain of total control." Notice the presence of influential politicians on both sides of the aisle, in the first paragraph in this section. Once again, we can see that both Democrats and Republicans are united as one in the ultimate goal of the New World Order. For all their staged public struggles, they are supportive of the same goal -- the abolition of our Constitutional government and all our liberties. Did you catch the important understandings here? * "we shall keep promising them to give back all the liberties"
* "It is not worthwhile to say anything about how long a time they will be kept waiting for this return of their liberties ....."
America has been there, already, haven't we? When Americans stared in sheer terror at the crumbling of the Twin Towers of the World Trade Center and the Pentagon on September 11, they began to close their eyes to everything except what our government and the Mass Media wanted them to believe. Even now, in "fear and trembling, they will close their eyes to everything, and be content to await what will be the end of it all". Just as the Guiding Spirits of The Protocols envisioned, Americans are closing their collective eyes, gladly trading liberties for "promised peace and safety". "Aldous Huxley called it a 'Brave New World'. George Orwell outlined it in his book '1984'. Bible theologians call it the 'Revived Roman Empire'. Whatever one calls it, both George W. Bush and the Democrats in Congress are pushing hard and fast to implement it. And unless the American people offer the strongest resistance quickly and loudly, our children and grandchildren will find the cage locked shut with no chance of escape." Truly, the End of the Age is rushing down upon us, as we can clearly see in our Daily News!